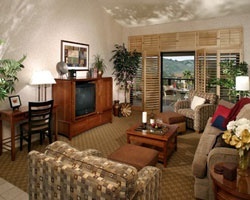 Prime location close to everything you could possibly need for a great vacation! Buyer May Receive A Title Fee Credit, Inquire For Details! *Lawrence Welk Resort Villas* are located 30 miles north of beautiful San Diego and offer 600 acres of vacation fun in a gorgeous setting! It's all here: two 18-hole golf courses, six swimming pools, four lighted tennis courts, two exercise rooms, a lap pool, Mr. W's Restaurant, a market, deli, and a theater featuring Broadway-style shows. Dozens of on-site activities are available including escorted tours to Hollywood and Mexico. 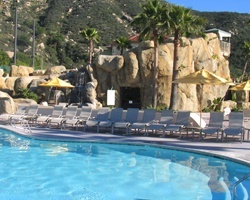 Guests also enjoy visiting the area's beaches and attractions such as the San Diego Zoo and Disneyland! 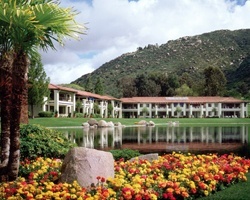 Discover more about this fabulous retreat by visiting www.welkresorts.com. *RCI Gold Crown Rated/ Interval International Premier Resort* Featuring a finely appointed 2 bedroom, 2 bath lockout suite that will accommodate 10 guests comfortably. Usage is biennial even in week 16. For more information or to make an offer, please submit the inquiry form.